Hello and welcome to Vintage Nutrition Kitchen! My name is Becky and I developed my food blog Vintage Nutrition Kitchen in 2015 due to my passion for writing, culinary nutrition and healthy recipe development. I also have an interest in antiques and vintage home decorating. My favorite treasures in my home are antique furniture and china passed down or gifted to me by my mother, mother in law, grandmothers or great aunts. I also enjoy shopping at antique and second hand stores to find other unique and vintage items which I plan to include in my blog. I enjoy spending time in my kitchen creating nutritious, easy to prepare recipes with common wholesome ingredients. You’ll notice that the majority of my recipes are not very time consuming since I like to make use of my crock pot, rice cooker, microwave and other modern conveniences so my family and I can enjoy healthy meals without spending too much time in the kitchen. If that is your attitude towards food as well, I think that you’ll enjoy reading as well as preparing the recipes that I share on my food blog. I worked in the field of Nutrition and Dietetics for 32 years and was employed as an Out-patient Dietitian, Hospital Dietitian, Weight Loss Consultant at a YWCA, Head Start Nutrition Consultant and a Health Educator for a heart disease prevention and research study. 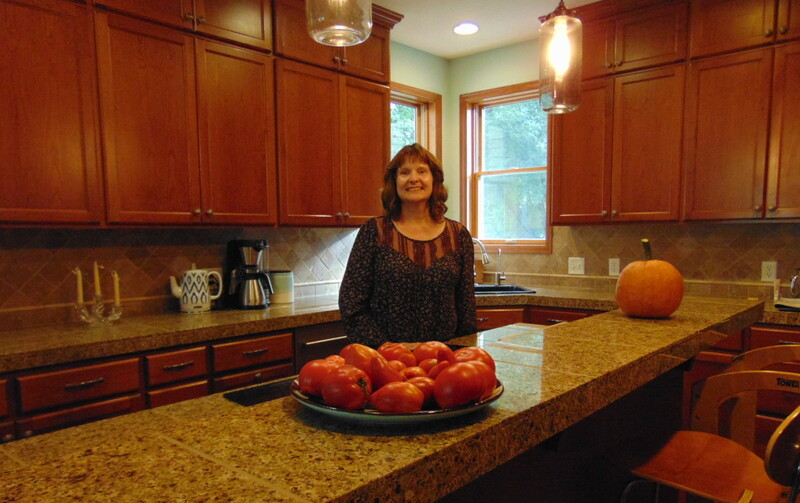 Due to my background in nutrition and dietetics, I strive to create nutritious and delicious recipes in my vintage kitchen. I authored my first nutrition column with a humorous theme in my college newspaper at the university I attended while majoring in Dietetics and Nutrition. I later enjoyed authoring a bi-monthly newspaper column called Nutrition Notes for 22 years in the city that I currently reside in.